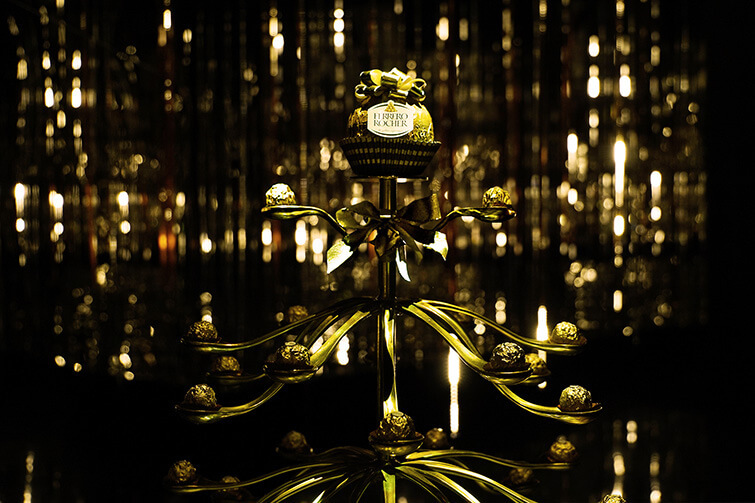 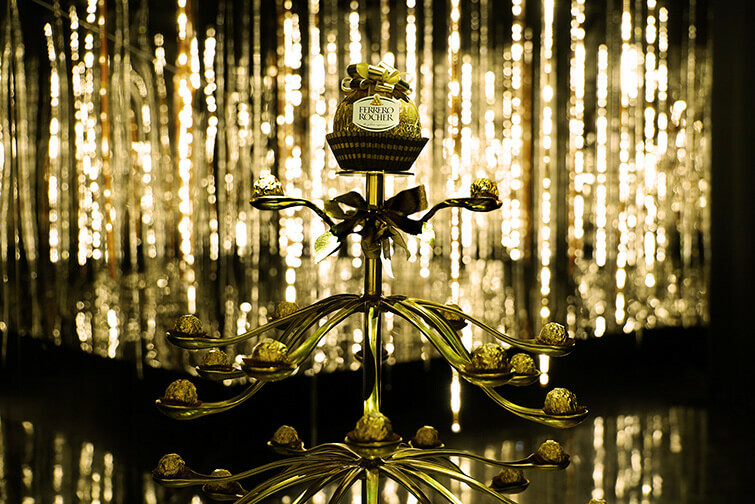 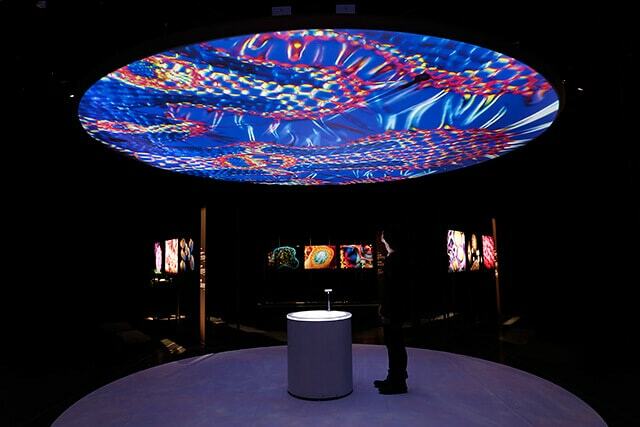 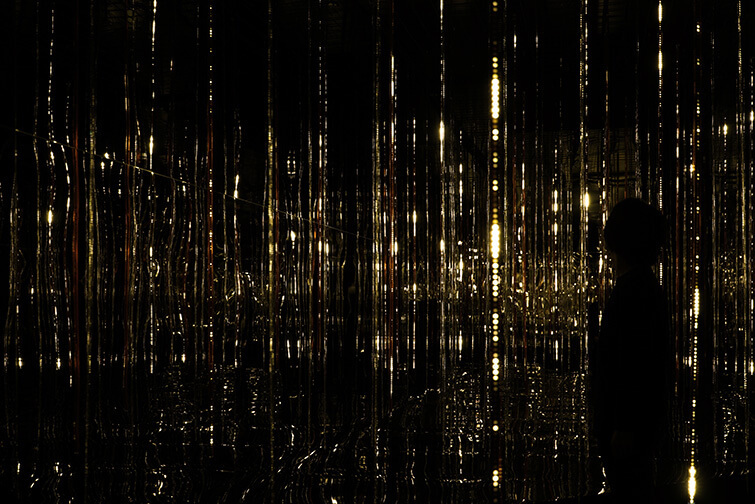 This installation was created for the special Christmas Lounge of the Italian chocolate brand “Ferrero Rocher”, as a scintillating two-part installation with gold as its theme. 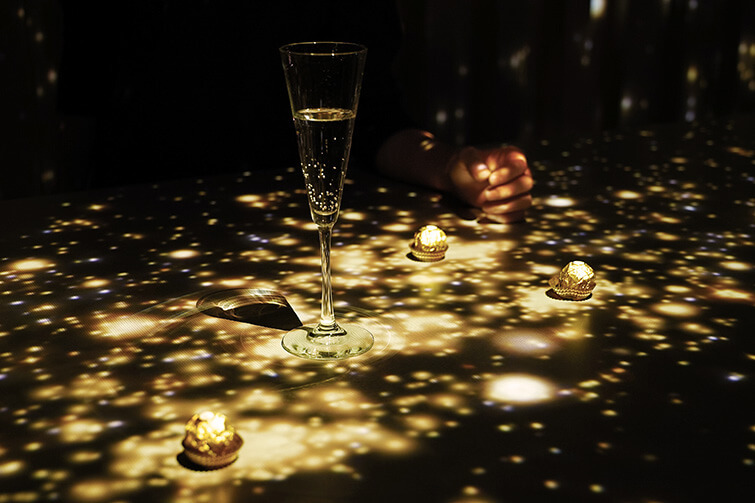 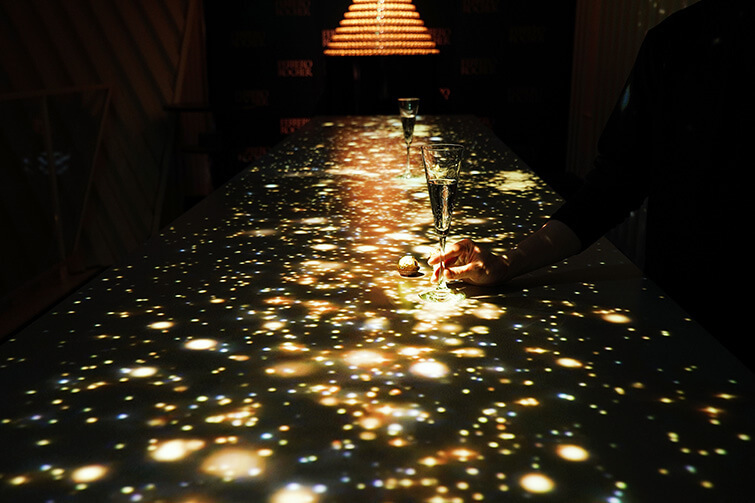 An interactive bar counter which features a stream of gold lights that lights up when glasses or chocolates are placed on it. 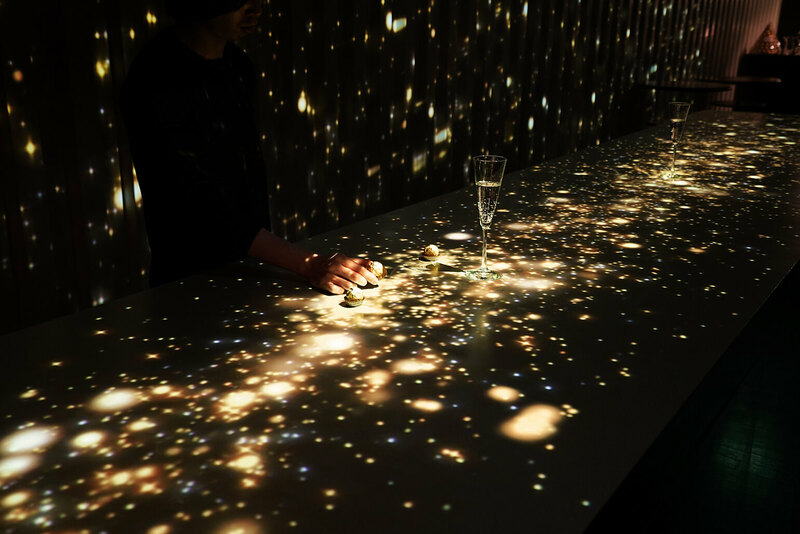 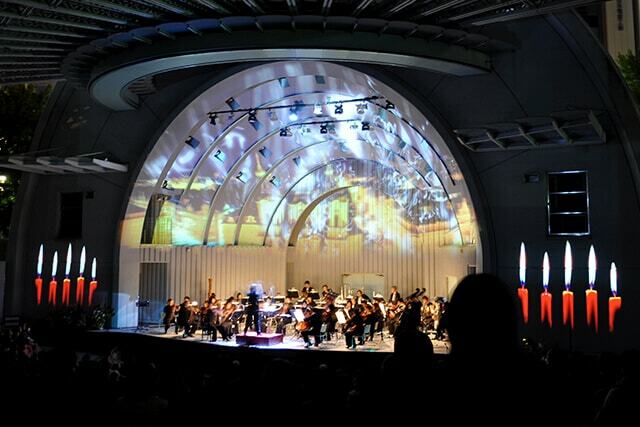 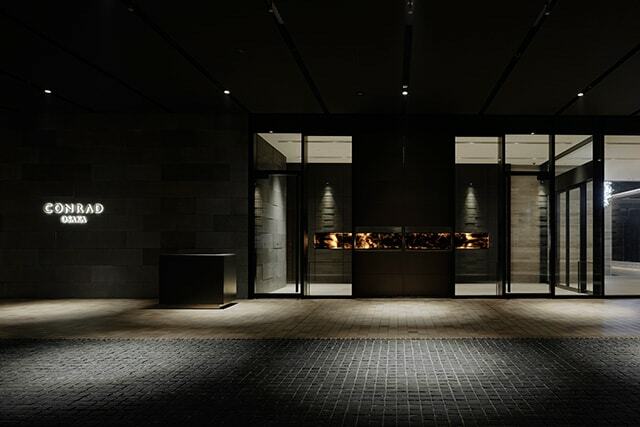 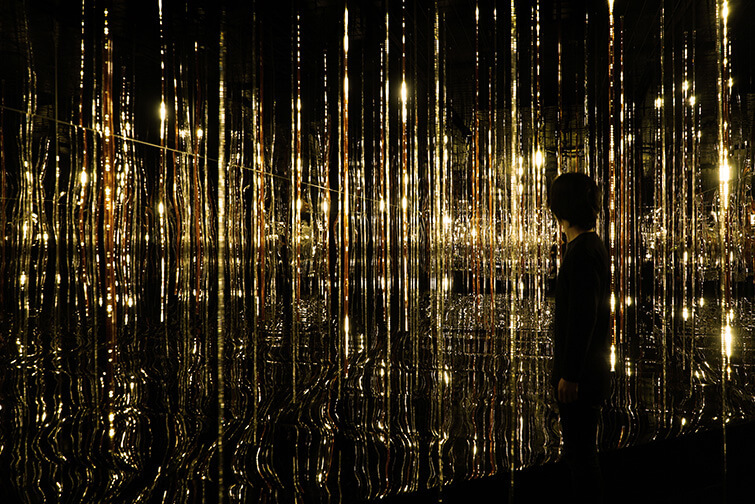 This light installation features an open space where golden snow falls continuously, which lights up brilliantly when chocolates are placed on the decorative tree.